Windsong homes are located in the coastal community of Aliso Viejo. The Windsong neighborhood is a gated community with two to three bedroom townhouses that were built between 1990 to 1995. The homes range in size from 1,103 to 1,609 square feet of living space and offer open floor plans with attached garages and private patios. 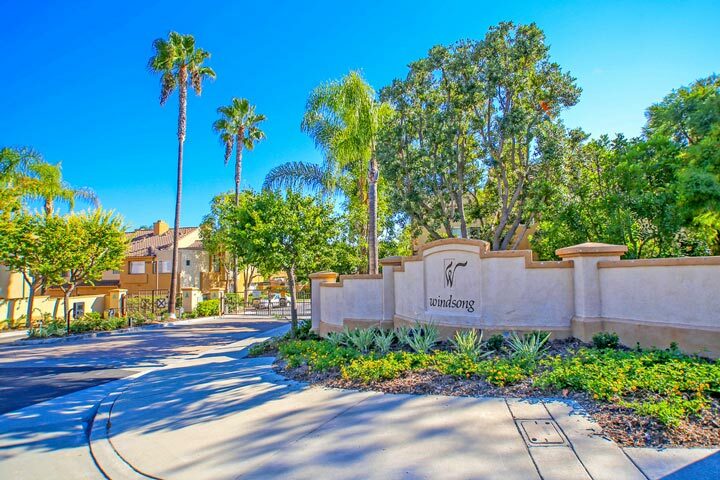 This is a great location situated near the 73 freeway and the shopping center off Aliso Creek Parkway.Below are the townhouses for sale and for lease in Windsong. Please contact us at 1-888-990-7111 with any questions regarding this community and any of the homes listed for sale here. The Windsong community is under two homeowners association with monthly of $282.00 and a section dues of $88.00 every quarter. 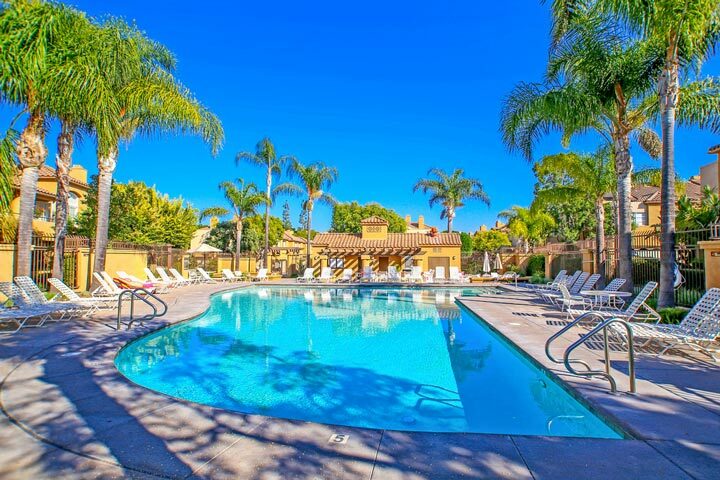 The dues include use of the community pool, spa, tennis courts and playground area for kids. There is also an additional Mello Roos tax bond in Windsong so check with your local Realtor on the exact cost. Children who live here attend schools in the Capistrano Unified school district.